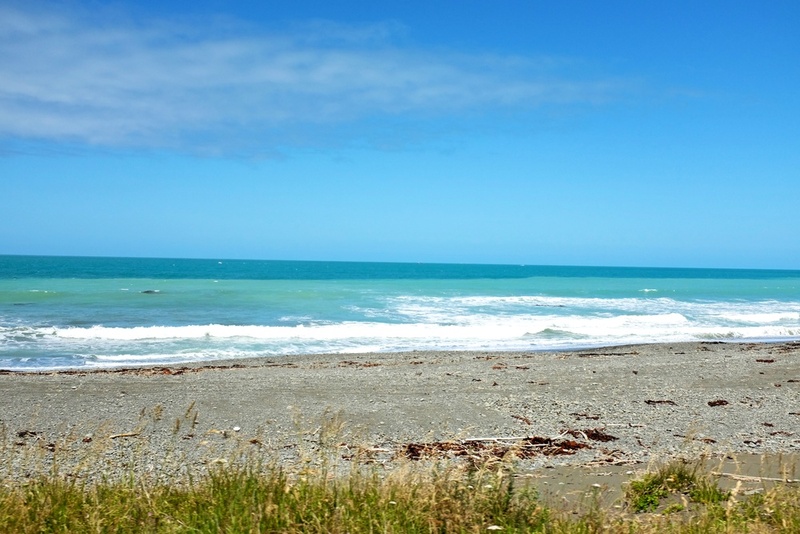 When we arrived in Kaikoura last night we wondered about what we should do. 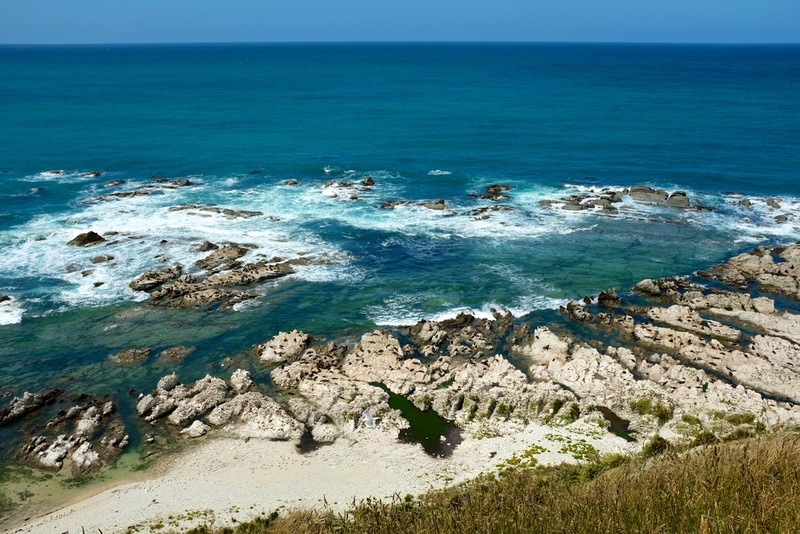 Kaikoura is well known for all of its marine life, and for some reason I really thought I would be able to see whales there. As it turned out, whale watching is one of those activities that will leave tourists' pockets and wallets nice and light. We then thought perhaps we can see dolphins instead, as that was slightly cheaper, but honestly not by much. Alas, they would not take children under 5 on the boat. Problem solved. Yet seeing whales still tugged at my heart and I kept searching for possible coupon options while we still had cell service. After a bit of research, we decided that we can see whales in the US for much much less and that closed the case for real. This morning, we woke up to the gorgeous beach and lots of surfers. Honestly, the free camp sites and even the DOC sites in New Zealand are so incredibly beautiful that unless you have a real need, like laundry or charging electronics, you should never pay to stay at holiday parks. You would really miss out on your chance to wake up to some stunning scenery. We started the morning by hopping out our door and playing on the beach for a while. Since we were on our schedule, we decided to check out a seal colony nearby before heading to the Kaikoura Peninsula Walkway. 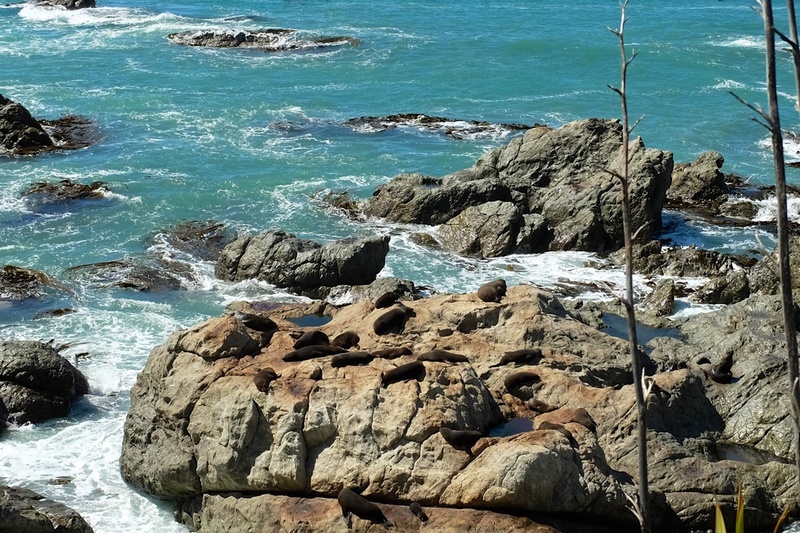 We headed back to town and we were lucky enough to get an up close seal experience with a seal napping the day away at the Kaikoura Peninsula Walkway. The walkway is a remarkable place. Just a bit of a hike up the cliff provides you with an incredible and unparalleled view. The kids loved the hike because once you are at the top of the cliff there are straight pathways where they kept racing each other. "According to Maori legend Aotearoa, or New Zealand, was fished from the sea by the demigod Maui, who lived in Hawaiki. The story goes that he possessed magic powers that not all of his family knew about. One day when he was young, he hid in the bottom of his brothers' boat in order to go out fishing with them. Once out at sea, Maui was discovered by his brothers but they were not able to take him back to the shore as Maui made use of his magic powers, making the shoreline seem much further away than it really was. The brothers decided to continue, and once they were far out into the ocean Maui dropped his magic fishhook over the side of the wake. After a while he felt a strong tug on his line. This seemed to be too strong a tug to be any ordinary fish, so Maui called to his brothers to help. After much straining and heaving Maui was able to haul up Te Ika a Maui (the fish of Maui), known today as the North Island of New Zealand. Maui told his brothers that the Gods might be angry about this, and he asked his brothers to wait while he went to make peace with the Gods. 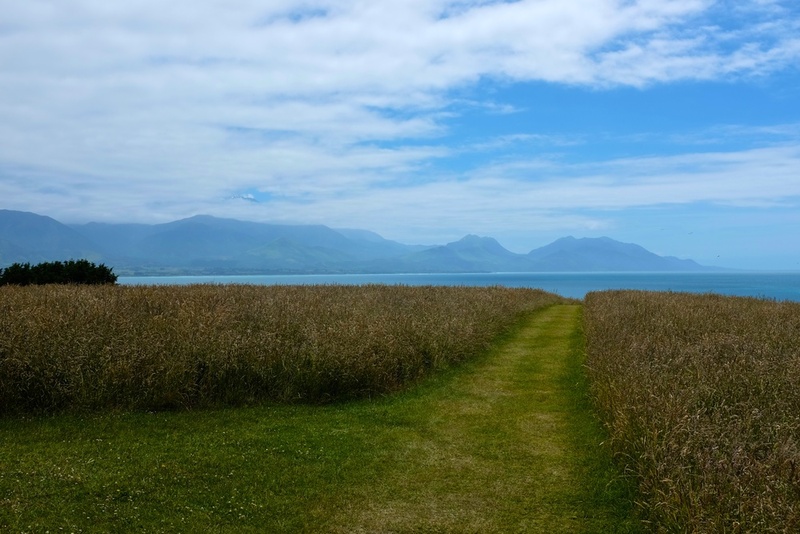 The South Island is known as Te Waka a Maui (the wake of Maui), Steward Island is known as Te Punga a Maui (Maui's anchor), as it was the anchor holding Maui's wake as he pulled in the giant fish." Isn't that awesome?! I hope you found that as interesting as I did. I always love when there are legends and stories of how places and/or names came to be. Even if they are more for entertainment than education. After our hike, we headed back into Kaikoura to eat something before heading back to Christchurch. We ended up eating at a local fish and chips place. I have no idea why, but I decided to try another one of New Zealand's delicacies, Paua! I should have stopped myself from ordering it when the shop owner, a local Kiwi, told me that she is not a fan and hasn't eaten them in years! Hello?! Hint hint! I tried it anyways and yuck yuck and yuck! I honestly don't know why people think they should eat everything just because it's not poisonous! Come on people some things should just be left alone...and Paua is definitely one of those!! 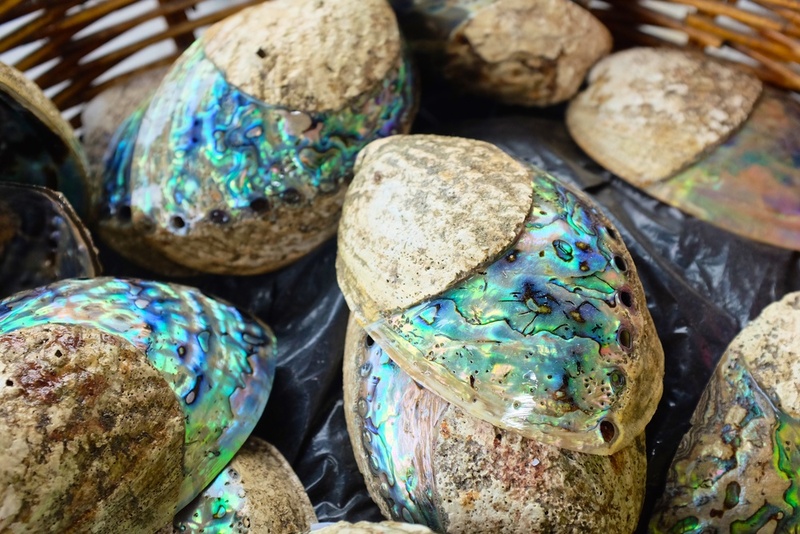 I do have to say that the Paua shells are absolutely beautiful and they make gorgeous pieces of jewelry out of them. And so it was...the home stretch! 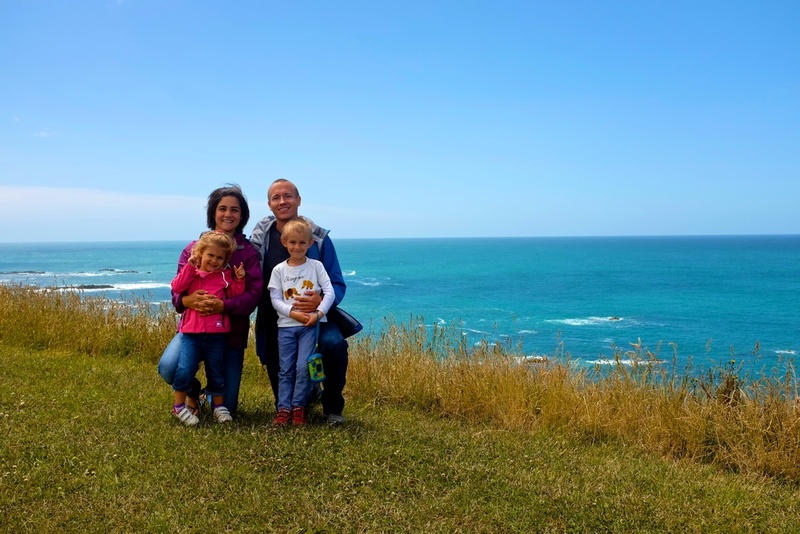 The true final leg of our South Island adventures! If I tell you that it was bitter sweet, it is because it really was. Not only for us but also for the kids. They loved traveling with an RV and were really not happy to be saying goodbye to it. We enjoyed the final bit of South Island scenery as we left the coast behind and turned more inland to head towards Wendekreisen's home. We said our goodbyes to Wendekreisen in a slightly rushed manner, since we arrived at the depot a bit late and our taxi was already waiting to take us to our hotel. Thankfully the return process was just as smooth as the pickup process and everything was done quickly and without any hassle. We unfortunately realized later we left some sunscreen in the bathroom, but that was our only loss so not bad. I know we mentioned this before, but if you plan to travel through the South Island with an RV, definitely make sure you check out the vroomvroomvroom.com website. You'd be doing yourself a favor!! Our hotel, Chateau On The Park, was way fancier than our travel accommodation of the last couple of weeks. I can't lie, I was so happy to have a shower in the room, but we, especially Kian and Hannah, kept repeating how much they missed the motorhome. 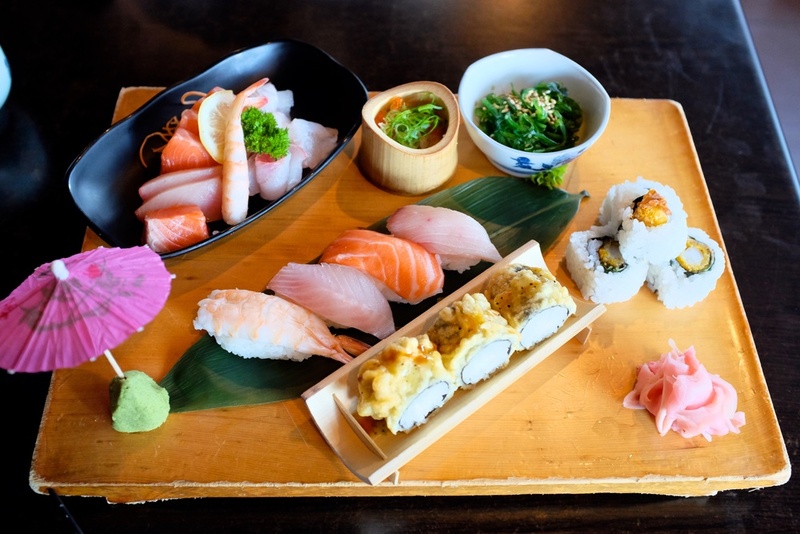 We found a nice Japanese restaurant, Cookai, walking distance away and finally had that sushi that I had been craving since leaving Spain! Overall, we loved traveling around in a motorhome. There is no other way I would have rather seen the magnificent South Island. We cannot wait for our next RV adventures, in the US! Thanks Wendekreisen for treating us so well and making us fall in love with traveling in a motorhome! 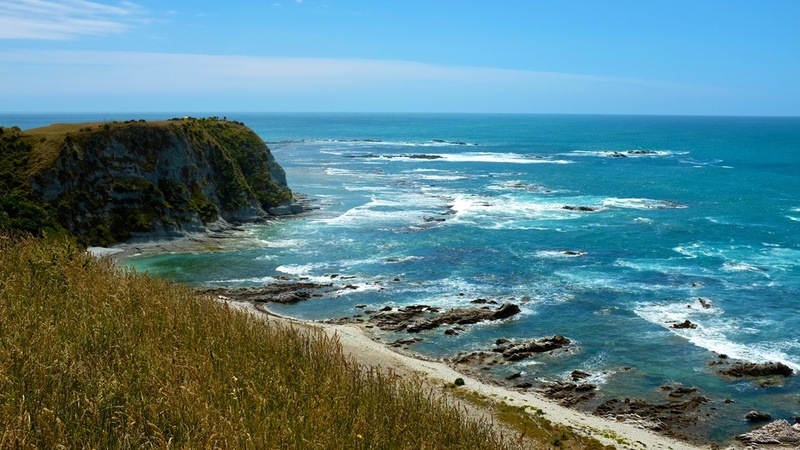 More or less, our circuit of New Zealand's South Island. 2300+km in 13 days! I think Elmer is going to miss Wendekreisen too!